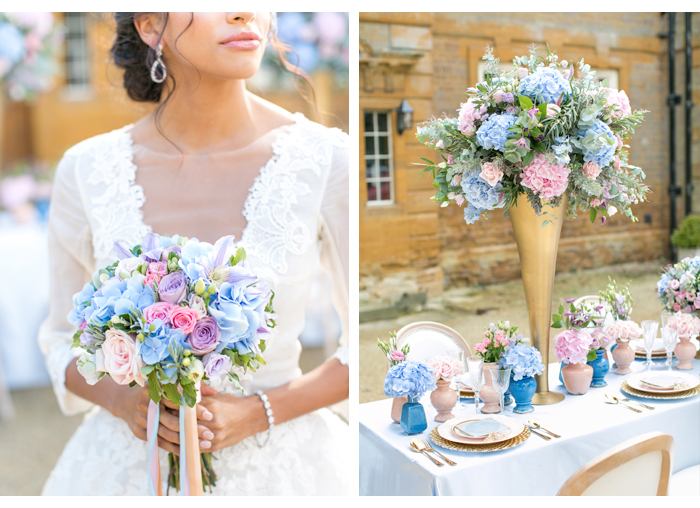 "As I assembled the team who would bring my magical, pastel filled concept to life, I knew Miriam Faith would design the florals in such a way that would captivate. 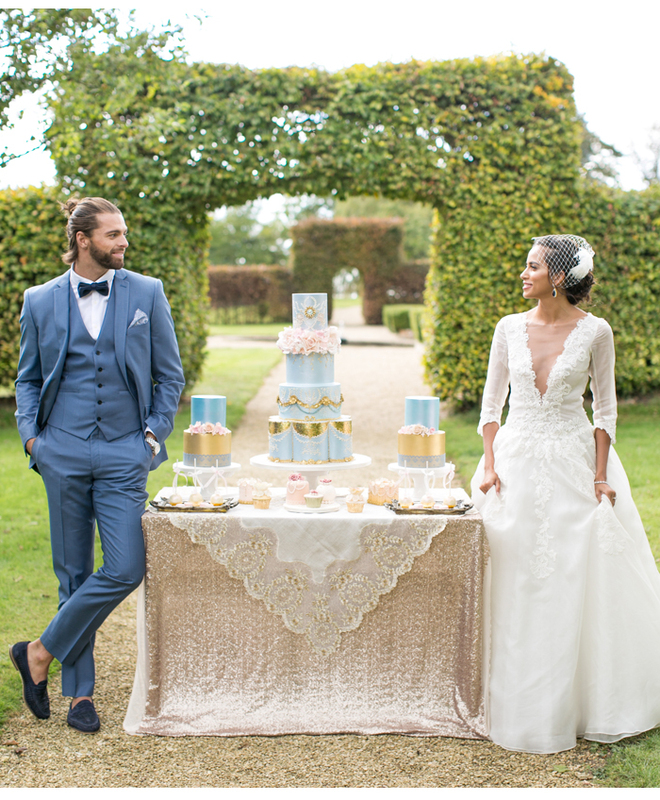 Complete with shades of hydrangea blue, blush, soft green, ivory, and gold, Miriam’s arrangements overflowed with style and grace." Both the centrepieces and the bride’s bouquet, with its cascades of ribbon, featured hydrangeas and roses, couldn't have been lovelier. 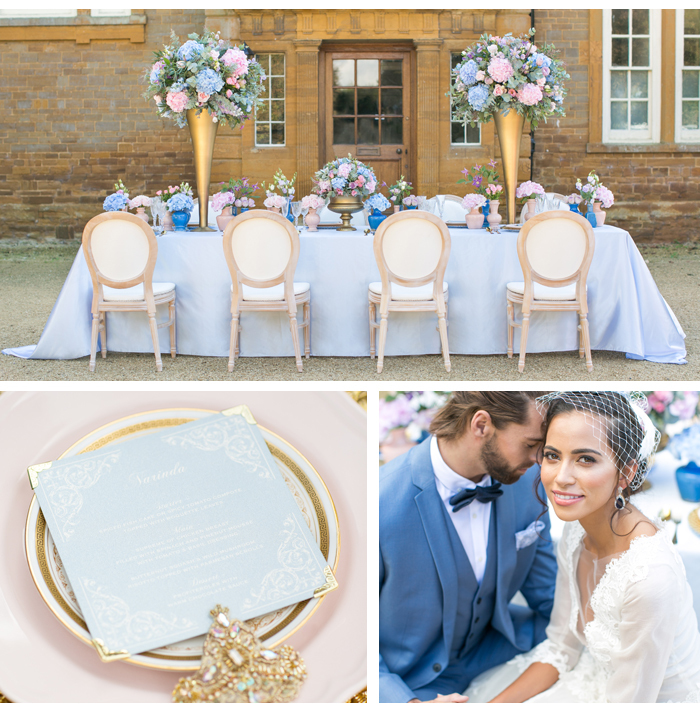 Academy Hire provided the eye-catching French Louis chairs, and the place settings would not have been as perfect without the pieces from Maharani Décor. 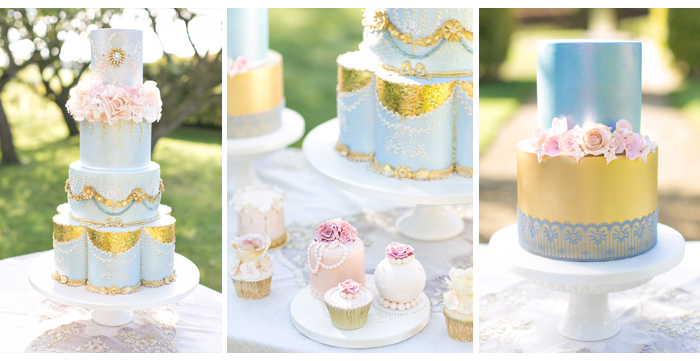 The gold flourish menus from Loveli are still some of my favourites to date, especially because they remind me of the ornate wedding cake designed by Unique Cakes by Yevnig Cakes. This setting did in fact feel like it was a complete dream. 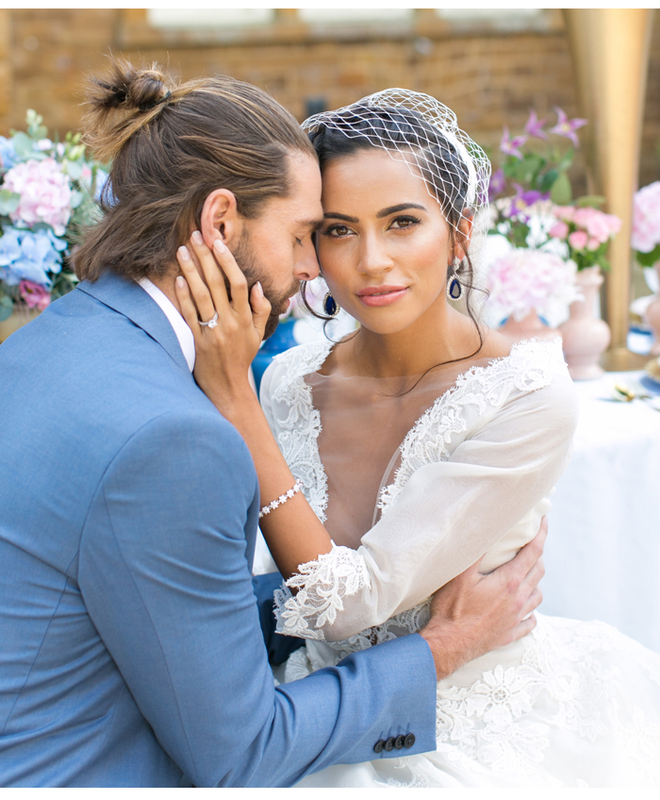 "As important as it is to set the tone for an Asian fusion wedding through palette and design, it’s perhaps even more important to make sure the fashion choices are elaborate and flawless. For this reason, I knew I needed to do what I suggest to all Asian brides – I needed the guidance of a fashion stylist. 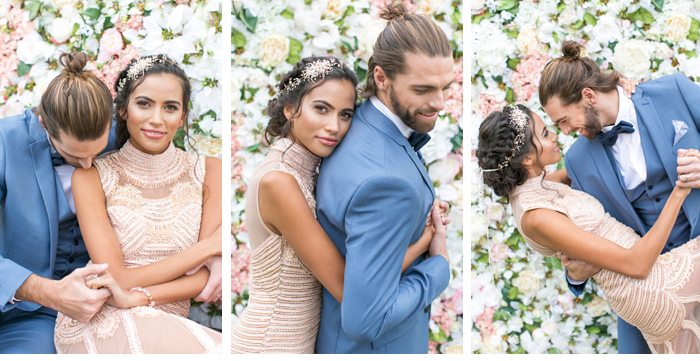 Karen Rai could not have pieced together more fabulous looks!" 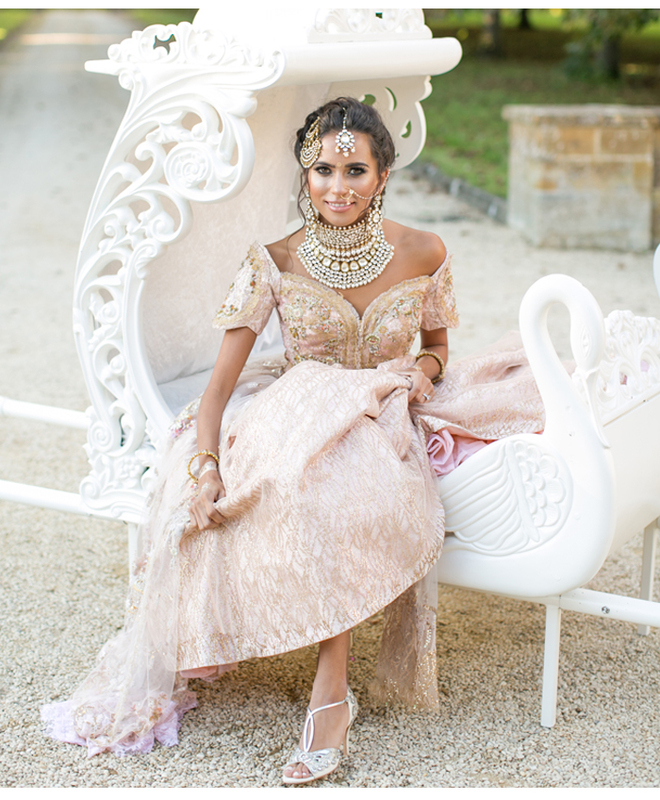 She continues: "Tradition is valued highly during Asian wedding ceremonies, while trending style is applauded during receptions, so I knew we needed to source two equally stunning looks. 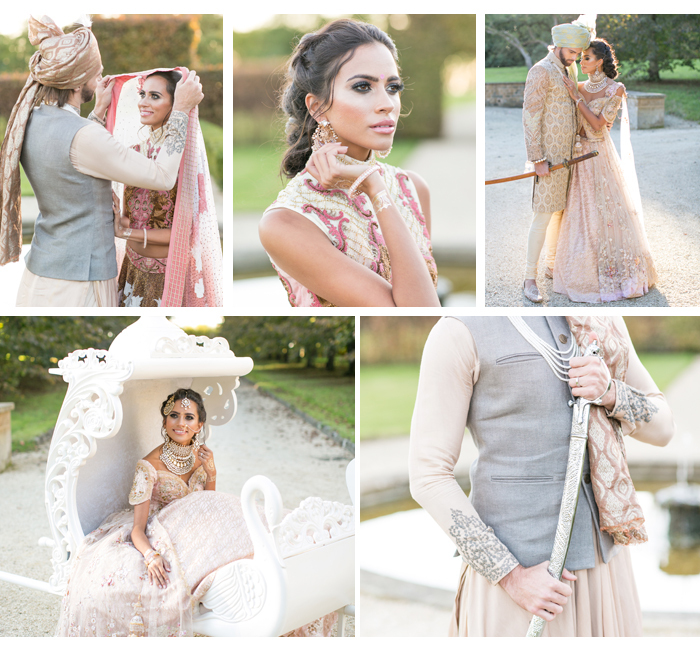 When I stumbled upon our traditional outfit and modern blush and gold couture gown from Soltee and fantastic Red Dot jewellery, I knew I had found the perfect Indian pieces for both of the bride’s looks. Our gent needed to look equally as dashing, and there could not have been a look more fitting than the on-trend pieces we sourced from The Sherwani Company." I especially loved the turban from Ziggi – his look would not have been nearly as fantastic without it! 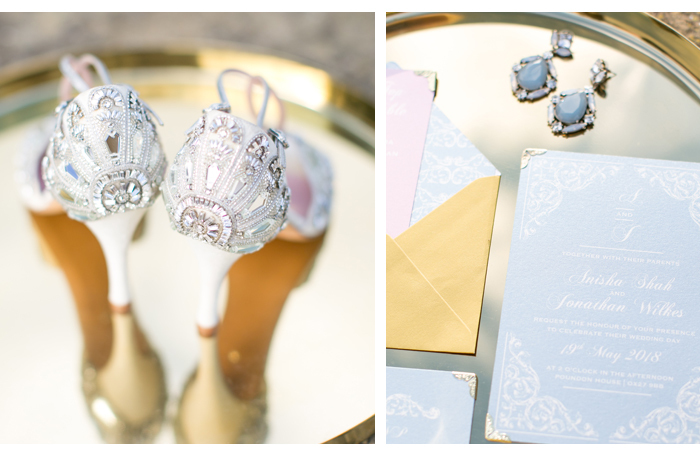 To put it simply, these pieces felt flawless as they paired wonderfully with our soft, pastel aesthetic.